My name is Nick and today I’m going to be providing you with an informative affilorama review. If you’ve read my story you will know that three years ago, I was unhappy and I had no idea what I wanted to do with my life. If you’ve read any of my other articles you will know I was in a job I hated, I was definitely stuck in a rut. In the video below runs through an overview of this affilorama review, although before committing to a purchase i’d recommend reading the article in full. Affilorama was a very important part of my online marketing adventure, I have been itching to write an affilorama review for some time now. If you are interested in making money online, this article is for you. If you are interested in learning how to build websites and you don’t know where to start, this article is definitely for you. The aim of this article is to provide you with an informative review of affilorama and the different products they offer, we want to answer a very important question; is affilorama worth it? First things first, what is affilorama? Well, Affilorama was set up by Mark Ling, a true expert in the affiliate marketing field. As a new member, you will set up a free account, although you can jump straight into premium if you’d prefer. Ensure you’ve read this complete article before making a decision. Your free account is better described as a training portal. Let’s jump into this affilorama review by looking through the free content. As a beginner, I’d look at jumping straight into the Lessons section. This is where I started my journey, within this section you’ll get free and unlimited access to over 70 video tutorials with accompanying lesson notes, not bad eh? The value this section provides is excellent. You can learn to build your own website, promote it using strategic SEO methods, then monetize it with affiliate marketing and Pay Per Click campaigns. You’ll also be able to watch exclusive interviews with digital gurus that have made a fortune online. Affilorama is considered to be one of the best affiliate marketing training websites in existence, they have an active community of over 320,000 members worldwide. As an affiliate marketer you can make use of the forums by talking to like-minded marketers, a lot of which will have a huge amount of experience. If you work your way through all of the free lessons, you are sure to learn a lot about making money online. As you make your way through the training you will be prompted and maybe tempted to purchase their premium products, this of course is up to you. To get started I made my way through all of the free training and I can honestly say I took a huge amount of value from the free video course. For the next part of this affilorama review, we will looking into the different paid products, affilorama have on offer. It’s true to say that Affilorama have helped a lot of digital marketers both the beginners and the elite. A lot of people share the same dream, “to make big money on the internet”. By now you should be realising that online marketing takes time and discipline, you must be willing to learn. 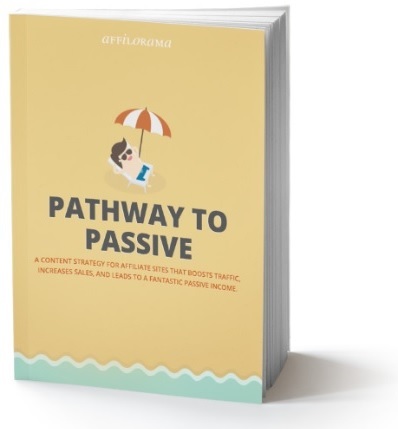 The pathway to passive guide is an informative PDF document that provides an excellent overview of the key things to focus on, within affiliate marketing. This affilorama product claims to teach you to do the following: How to find profitable niches and how to find the right affiliate products. This section provides you with Mark Lings personal process, you will learn how to find the best products and how to steer clear of the ones that will just waste time. You will also discover the best ways to compete in the most saturated niches. He also provides you with the best 11 niches of 2018 along with his personal “evergreen” strategy for producing high quality content. Generating profitable traffic is difficult, but Mark provides you with a strategy that can allow you to rank easily and cruise past the competition. There are four different types of content he swears by and that’s exactly what he is going to teach you about. By using this strategy you’ll be able to find the right keywords for your content. It doesn’t stop there, the guide includes a “reverse engineering” method which helps you find the people ready to buy, at that moment in time. Writing product reviews for content is an essential skill, some people are better at it than others. You will be shown professional methods that utilise the power of persuasion. Writing reviews for products you haven’t used before can be difficult. Pathway to passive will teach you how to do this in an ethical way (this is important). Personally, I prefer to only review products I have used but there are different methods out there. The guide goes on to explain how profitable sales funnels work (converting visitors into buyers), How to create link building content and much more. If you are looking for more in-depth guidance for your online business adventure this product could be for you. You will have to pay $37 as a one of fee, this provides you with lifetime access. You will also receive tactics and tips for the more experience marketers, the main focus here is free and paid traffic. If you have an existing website these tips might help you decide whether your site is targeting the right kind of traffic. This is in the form of a site audit blueprint, it provides you with site guidance so you can understand how to audit your own site. There are useful tools that allow you to highlight and fix any areas of concern. Further training includes site wide optimisation to ensure you haven’t missed out on any lucrative keywords. The guide provides you with useful tips so you can learn how to build your online business. If pathway to passive had of been around when I first started out, I’m sure it could have made my learning experience a whole lot better. 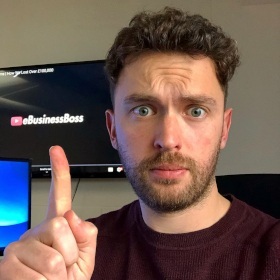 As a beginner it could be an extremely way for you to fully understand the nuts and bolts of building up a serious online business. It could serve as a really useful upgrade from the free training videos. Please be aware, if you purchase the course through this link, as an Affiliate I will make a commission, I want to provide useful, honest content so it is only right that I make you aware of this. Let’s move onto the next section of this affilorama review. This is highlighted as the leading affilorama product. In simple terms, affiloblueprint is an affiliate marketing training course, designed to guide you through building a profitable website in your chosen niche. The name “affilioblueprint” is a fitting name for the course, as it has been designed by the super affiliate founder of affilorama, Mr Mark Ling. The course is said to be based on the blueprint Mark uses to build profitable affiliate websites, whether that is true or not I cannot be sure. What I can say is that the published results from a few of his own affiliate websites are truly impressive. I’m sure you will agree, it’s useful to know that the creator of this course knows what he’s talking about. This flagship affilorama product looks to provide real detail. This part of the affilorama review is important, so let’s go into further into the “affilioblueprint”. Mark Ling claims to have helped his father retire by the age of 53, with the help of this system. As an affiliate marketer, I can quite believe it, if you build affiliate websites in the right way it’s a serious business. Research is key: Before you even consider building a website, you need to find a niche that has enough potential. Its important that you at least have an interest in the subject, trust me it makes the work that much easier. The size of the audience is important, the more active “buyers”, the more potential commission. Top notch content: A website with no content, is like a bus with no wheels, it’s not going to get very far. People are searching for answers to their “problem”, if your content is of good quality, it should answer their questions. Website creation & driving traffic: This aspect of affiliate marketing can be tricky, especially if you don’t have extensive knowledge on keywords and SEO. Mark knows a thing or two about the strategies that work, there is a reason he is so well thought of in the digital marketing world. When your website is ready, you will be taken through the relevant training so you too can promote your chosen product. Affilorama seem pretty sure this product will work for you, so sure that they offer a 60 day money back guarantee. The affilioblue print aims to provide a complete step-by-step system so you don’t get stuck along the way. 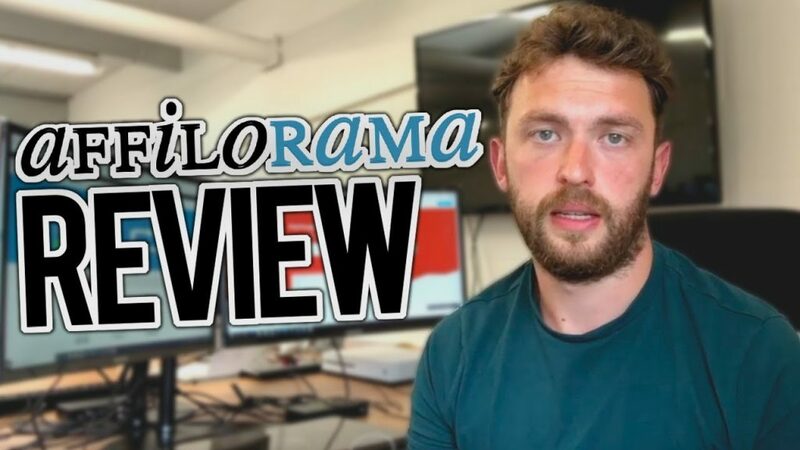 In the first part of this affilorama review, I spoke highly of the free training on offer, I took great value from this as I had the time to sit down and work through it. As mentioned, if you purchase the course through the above link, as an Affiliate I will make a commission, I want to provide useful, honest content so I will always try to make you aware of this. Let’s move onto the next section of this affilorama review. Once your site is up and running, this product could prove extremely useful. 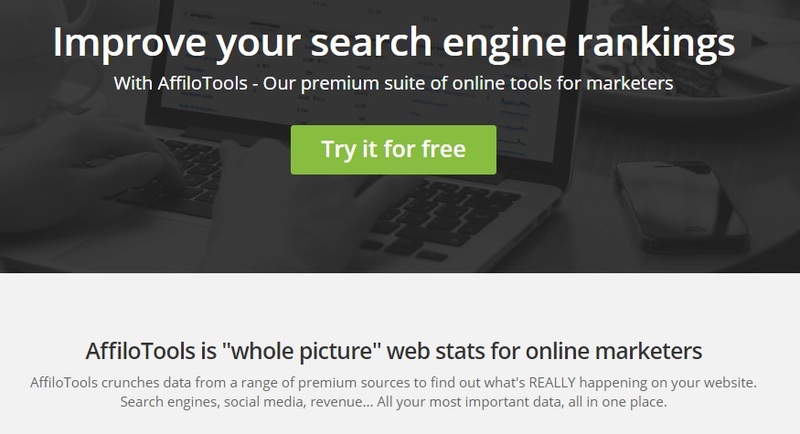 Affilotools is best described as a suite of premium tools which allows marketers to track and manager their website’s growth. With this tool you are able to find new keywords and discover relevant link building opportunities, these two features are especially beneficial. As mentioned, Affilotools is free to trial but there are different plans available once you are inside. As you will see, under the basic plan you can use all of the features, although the usage is limited. You are allowed to monitor 1 website (one project), you can track up to 10 keywords per project, you are limited to 2 search engines per project and finally you have the ability to retrieve site rankings on a monthly basis. Once your site is up and running, affilotools is really useful, making use of the free tools can help you learn and develop your digital skills. I am a big fan of utilising free tools and software, so if you are starting out, my advice would be to the make use of the basic plan. When your feel confident enough in your abilities to make the monthly cost back in affiliate commissions, only then should you consider upgrading. This affilorama review has been building towards “The Big One”, let me introduce you to “Affilojetpack”. This is the most expensive product on offer from affilorama, lets have a look into some of the claims other reviews seem to make. 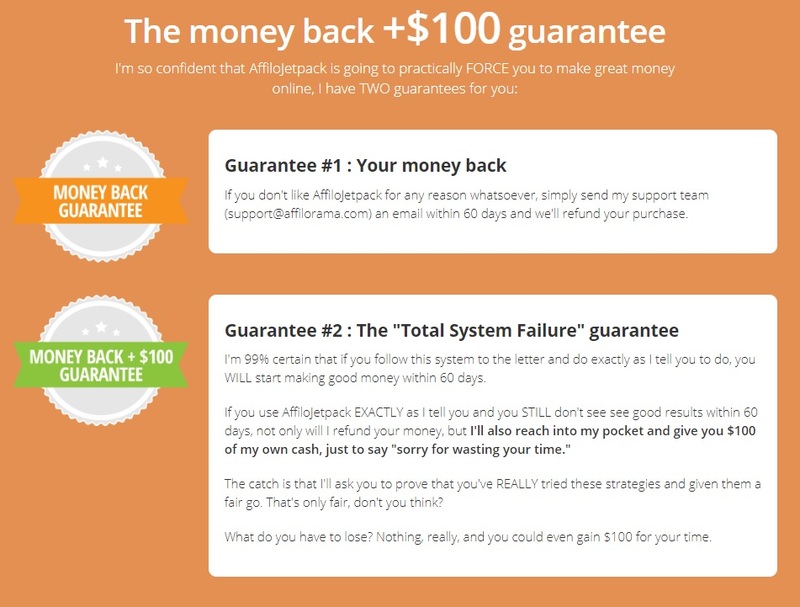 “AffiloJetpack is a fail-proof money-making system tested and designed by the affilorama team”. 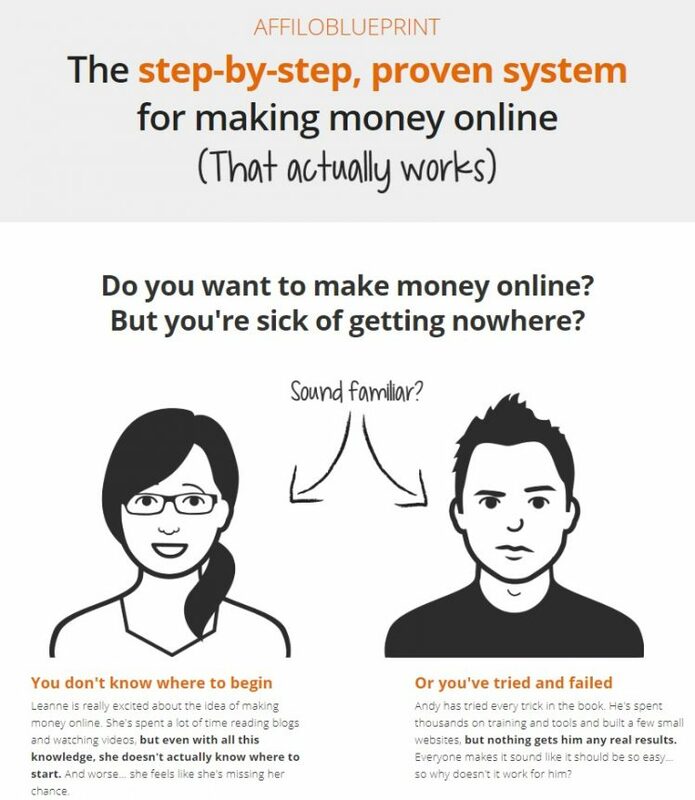 Now, I don’t know about you but I’m always a little skeptical when I hear the words “Fail-proof” or “money-making system”. I was taught from a very young age that if something sounds too good to be true, it usually is. But at $997, its not cheap so theoretically, can it sound too good to be true if you are paying a fair chunk of money for a “Fail-proof money making system”? Let’s have a look to see what this “big daddy” of affilorama products has on offer. The affiloJetpack claims to hold four key components for building a profitable income from your website. A complete website setup within WordPress, using the Affilotheme along with twelve months of free hosting. Cheatsheets to help you create superb, unique content effortlessly for your blog posts and website content and more. Now, this all sounds fantastic but one thing that stands out to me is the “creating superb, unique content effortlessly”. Quality content is one of the most important ranking factors for a website, so I hope this doesn’t involve spinning different articles to churn out poor quality content in high quantities. Let’s give Affilorama the benefit of the doubt here, for me I’ve never received anything of poor quality from their end. The guarantees on offer from Affilorama actually make this product tempting, they offer two different types of guarantee. Now I don’t know about you but I think that’s tempting, if I invest my time and money, and follow their instructions I will learn A LOT about building profitable websites. Not only that, if it doesn’t work out I can earn $100 in the process? Not bad affilorama, not bad at all. So there is an overview of what’s provided, if you can afford to invest the time and money, I’d imagine it would be worthwhile. If you are serious about affilojetpack I have something you might like, by following this link you can save $250. As mentioned throughout this Affilorama review, if you make a purchase through some of the links provided, I will make a commission. The aim of these reviews is to provide you with useful, free information so you can make an informed purchasing decision. Be prepared for the upsell & promo emails – Its fair to say Affilorama send a lot of up-sells across email and the tutorial videos. This is one of the major complaints with the platform. You must remember, Affilorama is built around useful, free content. Nothing in life is free, so as with any type of content driven marketing, there will be upsells. 2. Training can become outdated – Affiliate marketing is constantly evolving, the fundamentals of the practice will remain the same but the methodologies can move forward quite quickly. With that in mind, training can become outdated. Programs and software update all the time, so with some of the tutorials you might find you are required to do additional research on the subject matter. We have come to the concluding section of this Affilorama review. As a beginner or intermediate affiliate marketer, I would say yes, its worthwhile. Affilorama is full of useful content, I used the platform to learn the ropes and I found it incredibly useful. As the years have gone on, the platform has evolved, the free content is great and the paid products look to provide real value. Affiliate marketing is a hugely popular way of making money online, and with that a huge market evolves: “Teaching people how to make money online”. This market is becoming more and more competitive, which is good news for newbies. It means companies like Affilorama have to be offering huge value, in order to get you on board. Competition is healthy. If you are looking to get started with affiliate marketing, I’d recommend joining and making use of the free training. The downside is the amount of upselling you have to deal with, I got around this annoyance by simply declining any invitations, its not too difficult. I didn’t have an awful lot of money when I started out so the free training Affilorama provided worked well for me. I encourage you to get started. You must make time for any type of education, if you are serious about affiliate marketing you must put time aside to learn. My advice is to allow yourself an hour or so to learn each day, get your self a diary and set goals. You can carry out as much research as you like, if you don’t take action you won’t make any money online. I hope you’ve enjoyed this Affilorama review. Thanks for the kind words 😀 Glad to hear you are enjoying the content, that’s what this is all about! I’m still learning from you, while I’m trying to reach my goals. I definitely love reading all that is written on your website.Keep the tips coming. I loved it!